The leaders of North and South Korea announced the joint statement to a group of North and South Korean reporters after a closed-door meeting Wednesday morning. "We have agreed to make the Korean Peninsula a land of peace that is free from nuclear weapons and nuclear threat," Kim said as he stood by Moon's side at the guesthouse where Moon is staying. Kim and Moon earlier smiled and chatted as they walked down a hallway and into a meeting room to finalize the joint statement, which also said that the leaders would push for a Korean Peninsula without nuclear weapons and to "eliminate all the danger of war." They agreed that Kim would visit the South in the near future. Trump has maintained that he and Kim have a solid relationship, and both leaders have expressed interest in a follow-up summit to their meeting in June in Singapore. 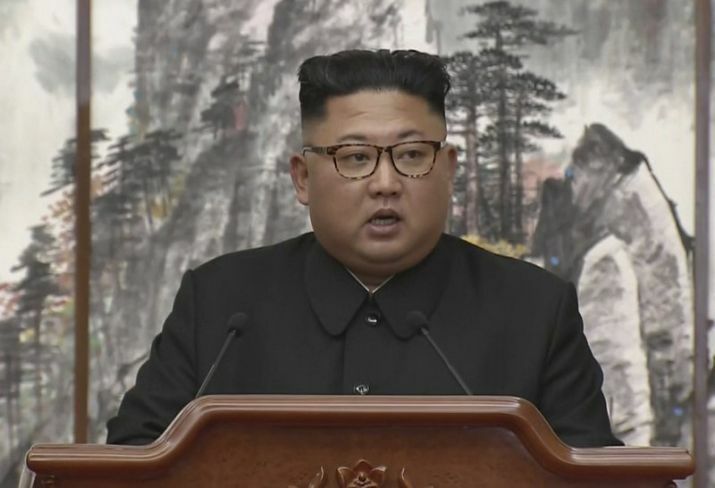 North Korea has been demanding a declaration formally ending the Korean War, which was stopped in 1953 by a cease-fire, but neither leader mentioned it as they read the joint statement. According a joint statement signed by the countries' defense chiefs, the two Koreas agreed to establish buffer zones along their land and sea borders to reduce military tensions and prevent accidental clashes. The North had put the iconic games, which feature tens of thousands of performers dancing and flipping placards in unison to create giant mosaics and slogans, on a back burner for the past several years, but revived them for this month's celebrations of its 70th founding anniversary. In a performance for the anniversary, a giant photo of Moon and Kim shaking hands at their first summit in April was projected onto one side of the stands in Pyongyang's 150,000-seat May Day Stadium.